Go on an adventure with Animals Around the World! Enjoy beautiful interactive story with bright and pretty animation. Grant your kids an unforgettable journey throughout 5 continents. Visit picturesque places of Australia, Africa, Europe, Asia, South and North America. 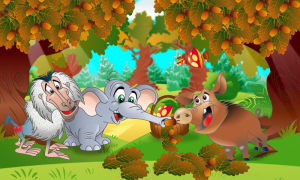 Help the Little Elephant and his friends in search for the animal with the most unusual nose. Every page of the touch book contains short stories for kids. 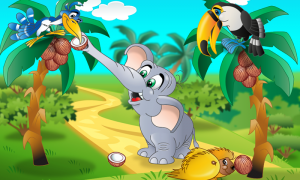 Tap on the screen to move objects and discover new scenes, while a great storyline about the Little Elephant unfolds. Funny events with cheerful characters will develop creative thinking and spark your child's imagination.Choose between “Read to me” and “Read by me”.